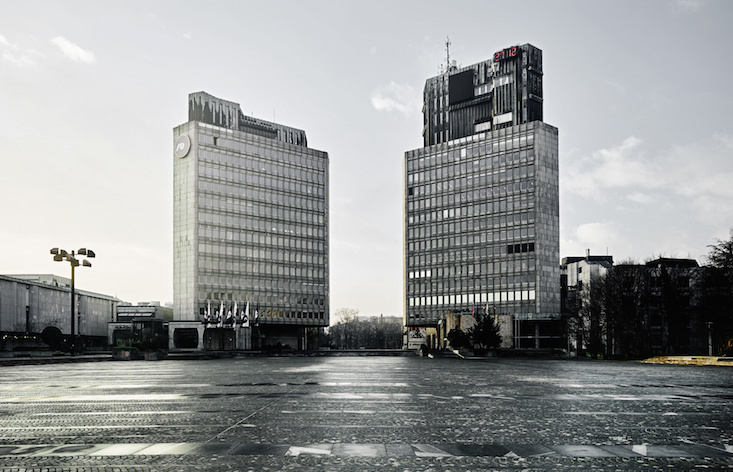 New York's Museum of Modern Art (MoMA) has announced a new exhibition dedicated to the iconic architecture of socialist Yugoslavia. Toward a Concrete Utopia: Architecture in Yugoslavia, 1948–1980 will explore the era’s distinct urban planning and design, celebrating works such as the modernist White Mosque in Bosnia, Kenzo Tange’s Metabolist reconstruction of Skopje and the brutalist buildings of Belgrade. The exhibition will bring together over 400 drawings, models, photographs and film clips, including work from Bogdan Bogdanović, Juraj Neidhardt, Svetlana Kana Radević, Edvard Ravnikar, Vjenceslav Richter, and Milica Šterić. Writing on the museum's website, MoMa said that it wanted to bring Yugoslavia’s “distinct yet multifaceted” design to an international audience. “Situated between the capitalist West and the socialist East, Yugoslavia’s architects responded to contradictory demands and influences, developing a postwar architecture both in line with and distinct from the design approaches seen elsewhere in Europe and beyond”, it said. Toward a Concrete Utopia: Architecture in Yugoslavia, 1948–1980 will run from 15 July 2018 to 13 January 2019. For more information, click here.